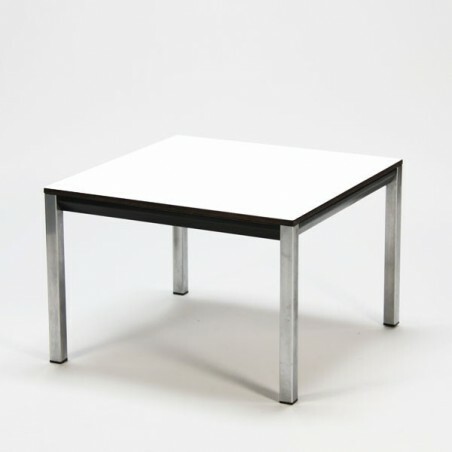 Coffee table "Facet" designed by Friso Kramer in 1964 for De Cirkel / Oda. 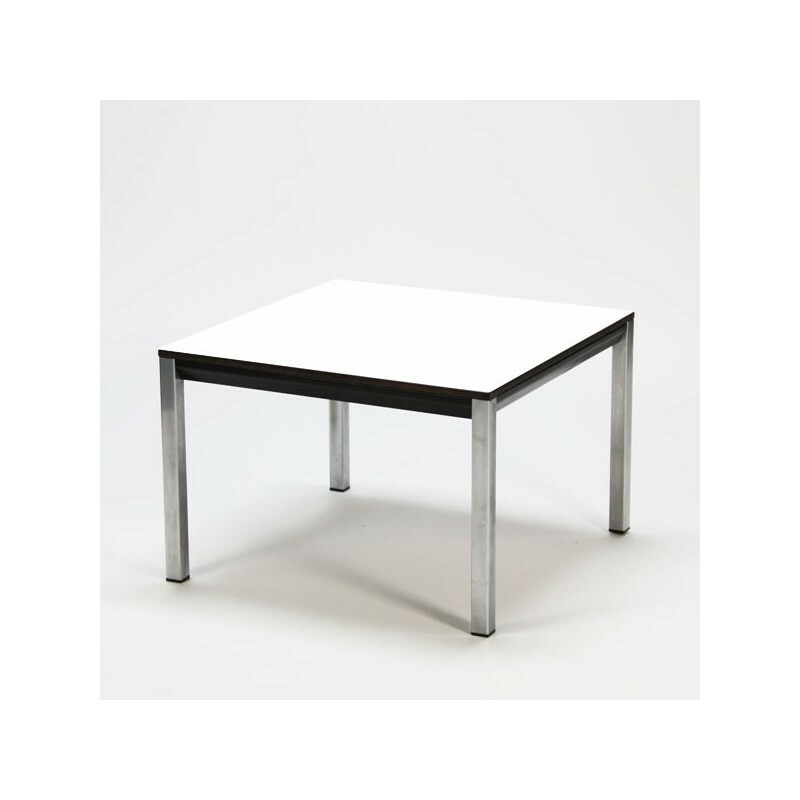 The table derives its name from the beveled edge of the frame. The condition is fair, one side has a spot that is damagde on the beveled edge, also there is oxidation on the legs, see detailed pictures. The size is 60.5 cm wide / long and 40.5 cm high.